Join Poughkeepsie Farm Project as we explore the farm this spring! 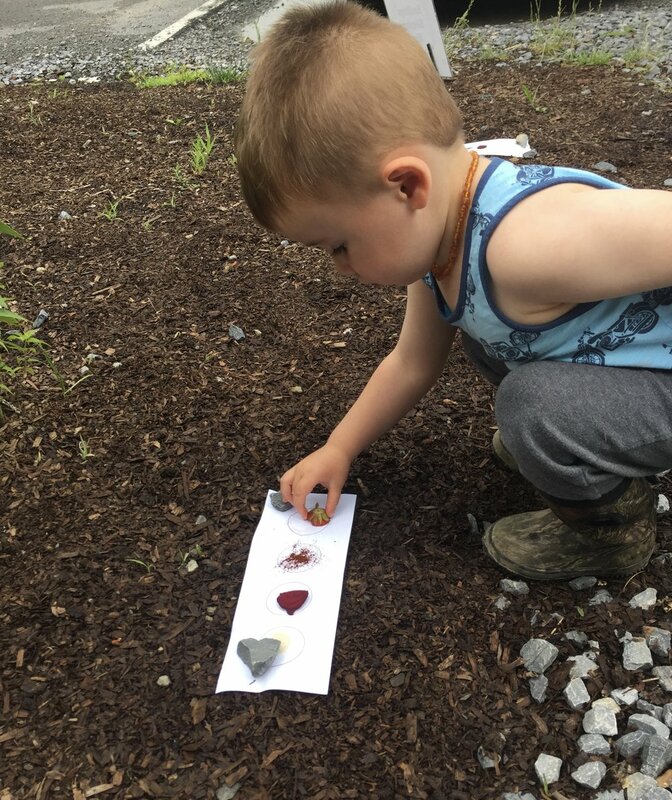 Sign up for a four-week series with your little one (ages 3-5) and wonder alongside them as we poke in the soil, harvest tasty vegetables, and enjoy nature together. This spring we will explore all of the wonderful living things that are waking up from their winter slumber, focusing on plants and the insects that help them grow. We'll dig in the soil, investigate plants, and have fun creating artwork and music. We’ll harvest fruits and vegetables that are in season, creating simple snacks for all of us to enjoy. All children will be able to explore the farm, plant seeds and take them home, and learn where their food comes from. Children will love the combination of imaginative play, structured activities, and social learning, and we think parents will enjoy the classes too! Saturdays 10am -11am: May 26th, June 2nd, 9th, and 23rd. No class weekend of Father’s Day. Space is limited and will be filled on a first-come, first-served basis. Drop-in classes may be available if space allows. Please email us (littlesprouts [at] farmproject[dot]org) and we will place you on a wait list and contact you. All classes will be held at the Poughkeepsie Farm Project and on the grounds of the Vassar Ecological Preserve. Will the classes be held if it rains? Classes will be held indoors at the Environmental Cooperative (across the parking lot from the PFP) if the weather is extreme. If it is raining, we'll still go out! Bring a raincoat and some boots! We hope that you can come to all of the classes! We understand that things do come up, however, and that every family may not be able to commit to all weeks of the session. Unfortunately, we are unable to offer partial refunds due to the administrative costs associated with this program and makeups are only allowed if space is available in the other session (please contact the coordinator to inquire about this option). If the fee presents a hardship for your family, please contact us! Not much! Water, rain boots or shoes that can get muddy/wet, and possibly a change of clothes if your child is prone to smearing dirt on him/herself! Children who are six and up are welcome to come with you; however we request that they refrain from answering questions and that you bring something else (a book etc) to occupy them during activities. Older children are of course welcome to join us as we walk to the stream and explore the farm; however we have found that the younger ones often sit back and refrain from answering questions or attempting an activity if an older child does so. We appreciate your help with this! Can I bring my younger child? Children younger than age 3 are welcome to attend; however unless they are registered as paying "participants" they will not be able to join in on the activities. We recognize that children who are "advanced 2-year-olds" may want to fully participate, and we welcome them if that is the case, but we do ask that you then register this child as well so that we may adequately plan for the numbers of children who attend. If your child is truly too young to participate, they are of course welcome to come with you, free of charge - but we suggest bringing a carrier or a stroller that can handle grass and dirt paths.